Infrastructural development in India is oftentimes found to be fraught with flaws, crudity or lack of outstanding features and high standards. It is most certainly not on account of shortage of funds, workforce or the wherewithal. This has been despite the tremendous cutting edge technology and engineering skills and other resources available in the country in plenty. On the one hand, we have stellar projects of outstanding quality such as the Delhi Metro Rail and several prestigious ones taken up during the last two years by the Indian Railways like the Bullet Train, all of which showcase India’s capability to execute massive projects of international standards. On the other, we have a gaping hole in the country’s development in a huge area that is crucial and important to people’s health and hygiene and yet has been hitherto neglected – sanitation. The basic requirements of toilets and safe drinking water have been unavailable to a large section of people living in the rural areas during all these years of our nation’s independence. The less said about solid waste management, the better. Whatever little had been done in this area in the past by the successive governments, with negligible exceptions, was totally inadequate and pitifully unsatisfactory. What was the reason for this glaringly anomalous situation? Evidently, rural sanitation was not considered a priority area all these years except during the short stint of the NDA government led by Atal Behari Vajpayee. What had been sadly lacking was a vision and the political will to translate it into reality. Matters became more difficult when the previous governments failed to rope in the cooperation and support of the rural populace for their programmes aimed at improved sanitation. With a less than satisfactory infrastructure apparatus in place, it was only after Prime Minister Narendra Modi announced the launching of the Swachh Bharat Mission (SBM) two years ago that the humongous task of keeping the country clean and hygienic was taken up for serious discussion and implementation. Sanitation in the rural areas is a cornerstone of the programme. With the introduction of SBM, India has woken up to the need to make a massive breakthrough and sustained development in the area of sanitation, especially in the villages. One of the most important tasks of the Swachh Bharat Mission announced on October 2, 2014, by Prime Minister Modi is to make our country totally open defecation-free. For want of toilets, among other reasons, defecation in the open has been in practice all over India. According to a World Bank report, three out of five persons in the rural areas defecate in the open. As per Census 2011 data, only 30.7% of households in rural areas had access to toilets. A 2008 UNICEF study put the number even lower at a mere 21%. India holds the dubious distinction of topping the list of countries with the maximum number of people defecating out in the open. Needless to say, this practice causes public health problems with people defecating in fields, open trenches, rivers, and in close proximity to the living space of others. 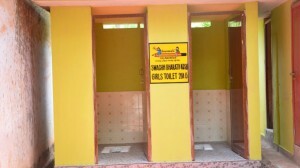 With the clarion call of the Prime Minister for building toilets in every house and separate toilets for boys as well as girls in schools, the Government of India with the participation of the state governments and the corporate sector swung into action. Goals were fixed, parameters of the mission defined, funds allocated and the actors and stakeholders identified for the timely implementation of the Swachh Bharat Mission. The government undertook to build 11 crore 11 lakh toilets in the country, including 1.04 crore individual household toilets. The timeline for the completion of the Mission is the 150th birth anniversary of the Father of the Nation, which falls on October 2, 2019. In a bid to encourage greater public participation in its ambitious mission at the village level, right from daily wage earners to village panchayats, the NDA government introduced a performance-based incentive provision in the rural component of the scheme known as Swachh Bharat Mission-Gramin (SBM-G). The World Bank announced a US$1.5 billion loan to support the country’s largest-ever sanitation drive. Under the mission, a whopping Rs 134,000 crore rupees would be spent for the construction of toilets across the country. Besides, technology would be used on a large scale to convert waste into wealth in the rural areas in the forms of biofertilizer and different forms of energy. The mission has been taken up for execution on a war footing with the active participation of every gram panchayat, zila parishad and panchayat samiti across the country, besides roping in large sections of the rural population, including school teachers and students in the endeavor. 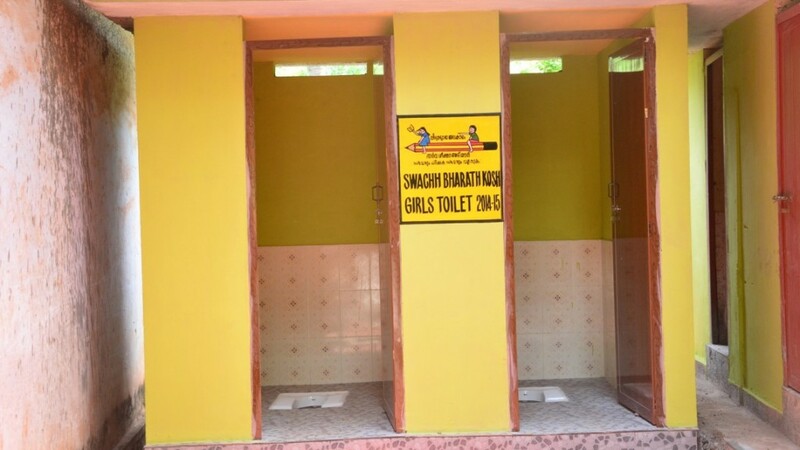 Under SBM-G, the Government of India has been releasing funds to the states for the construction of toilets in rural households, community centres, and zila parishad as well as gram panchayat offices. The mission is aimed at encouraging suitable safe sanitation technologies for toilets as well as solid and liquid waste management systems in the rural areas. By introducing a performance-based incentive provision in the scheme, the government has been trying to motivate the rural populace to show greater interest in it and realise the importance of having toilets in their households as well as in all offices dealing with the public, situated in villages and adjoining districts. In the Union Budget 2016-17, an allocation of Rs 9,000 crore has been made for SBM-G. Among the major components of the SBM-G, is the provision of Individual Household Latrines (IHHL). Incentives for the construction of IHHL shall be available to all Below Poverty Line (BPL) households and also for Above Poverty Line (APL) households restricted to SCs/STs, small and marginal farmers, landless labourers with homestead, physically handicapped persons and women-headed households. The incentive amount provided under SBM-G to BPL/identified APL households is up to Rs 12,000 for the construction of one unit of IHHL and provide for the availability of water, including for storing, hand-washing and cleaning of the toilet. The Government of India’s share of this incentive for IHHLs is Rs 9,000 (75%) from SBM-G and the state government’s share Rs 3,000 (25%). In respect of the North Eastern States and Special category States, Government of India’s share is Rs 10,800 and the state government’s share Rs.1,200 (in 90:10 ratio). The beneficiary is to be encouraged to additionally contribute to the construction of his/her IHHL to promote ownership. Other APL households have to be motivated to construct toilets with their own funds or by taking loans from Self Help Groups, banks, cooperative institutions, etc. There has been a spurt in progress in rural sanitation since the launching of SBM-G. Narendra Singh Tomar, Minister for Rural Development, Drinking Water and Sanitation, informed the Rajya Sabha that as on July 27, 2016, as many as 17 out of the 686 districts in the country, 223 blocks, 31,077 gram panchayats and 68,808 villages had declared themselves open defecation-free (ODF). He also said that in rural areas, 207.49 lakh toilets had been constructed under the mission and that sanitation coverage had increased to 53.45%. Since sanitation is primarily a behavioural issue, the mission has been focusing on addressing the behaviour of communities to adopt safe sanitation. The states have been asked by the Centre to resort to community-led and community-driven approach for making behavioral changes possible in the rural areas. Till now, Sikkim had been the only state declared ODF. The Government of India’s initiative and the concerted efforts under SBM-G have started paying dividends. It has been reported that Kerala is poised to become the first ODF state among the most populous ones in the country. 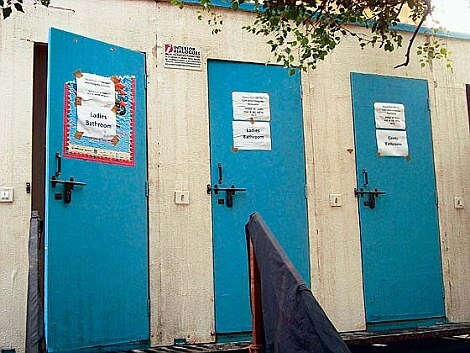 According to Suchitwa Mission, the state nodal agency for sanitation, 1.90 lakh toilets will be constructed on a war footing in its 941 village panchayats by November this year. The drive has a total outlay of Rs 308 crore. Jammu and Kashmir is also expected to become ODF by the end of this year. According to the state government, steps like the construction of toilets in rural areas have been taken to make the state free from open defecation and prevent the outbreak of diseases. About 1.33 lakh Individual Household Latrines have already been built by the state government during the current financial year and more toilets are on the way. Furthermore, people living in areas prone to water-borne diseases like jaundice have been sensitised by the authorities about the need to take preventive measures, use safe drinking water and dispose off the sanitary waste properly. People in rural areas are also being made aware, through door-to-door surveys and campaign, of prevention and transmission modes of viral Hepatitis. Activities include updating of Base Line Survey, an orientation of key personnel at the district/gram panchayat (GP) level and preparation of district plans. IEC (Information, Education & Communication) is a very important component of the programme, which strives to bring about community-wide behaviour change and thereby trigger demand for sanitation facilities in Households, Schools, AWC, as well as promote Community toilets and Solid & Liquid Waste Management through the provision of information and awareness generation. It aims to scale up the capacities of various stakeholders like PRI members, Engineers, AWW, ASHA, SEM, SWSM & DWSM members, BC, CC, Sanitation volunteers, SHG members, Masons, VWSC members, NGOs, etc. CSCs comprising a requisite number of toilet seats, washing platforms, bathing cubicles, wash basins, etc have to be built in such a place in the village where it is acceptable and accessible to all the people. Such complexes can also be constructed at public places such as markets, bus stands, etc, where people gather in large numbers. The GP will have the responsibility for its operation and maintenance. The unit cost of CSC is Rs 2 lakh. It is established at the district level to assist Self Help Groups and others in providing cheap finance to their members. RSM is supposed to be an outlet dealing with the material, hardware and designs needed for construction of sanitary latrines, washing platforms, soakage and compost pits, vermin composting, domestic water filters and other sanitation & hygiene accessories. Production Centres are the means to produce cost-effective and affordable sanitary materials at the local level based on local demand suitable for rural consumption. The RSM/PC caters to the need of sanitary materials of the local rural households. All Gram Panchayats are to be targeted for coverage by SLWM. The total assistance under SBM-G for SLWM projects is worked out on the basis of the total number of households in every gram panchayat subject to a maximum of Rs 7 lakh for a GP with up to 150 households, Rs 12 lakh up to 300 households, Rs15 lakh up to 500 households and Rs 20 lakh for GPs with more than 500 households. Financing of SBM-G is through budgetary allocations of the Central and State governments, the Swachh Bharat Kosh, and multilateral agencies. Rs 1.34 lakh crore is the amount earmarked for the mission by the Central Government. To supplement the government allocation, a fund by the name of Swachh Bharat Kosh has been established to channelize philanthropic contributions for the cause, Corporate Social Responsibility (CSR) contributions and funding from other multilateral sources. The objective of the broader concept of rural sanitation as envisaged by SBM-G is to enhance the quality of life of villagers through improvement in personal hygiene, home sanitation, safe drinking water, waste water disposal, garbage disposal and excreta disposal as well as to provide privacy, dignity and safety to women who are prone to attacks by criminal elements when they go out to answer the nature’s call. Notwithstanding an odd voice of skepticism or cynicism over the efficacy of the cleanliness drive, there has been a tremendous welcome to the mission from its potential beneficiaries in the rural areas who feel that they are no more a neglected or forgotten lot and that their personal dignity and collective honour are at stake depending on the success of the mission. All the same, despite all the good work put in by the Central and state governments, district and village level authorities, corporate houses and other stakeholders, the mission can succeed only with the cooperation of the beneficiaries of the programme – the rural populace. An estimated 4.4% of the people living in rural areas are reported to be still defecating in the open despite having toilets in their houses. The people have to get over the cultural fixation of sorts that seems to dog them resulting in their preference for the open spaces even when they have access to household toilets. They have to make a conscious effort to break the centuries-old habit of answering nature’s call out in the open and settle for the dignified option of using the toilet at home. Only a behavioural change in the people would ensure their choosing safe sanitation. People must realise that toilets must be used for keeping feces out of the environment and preventing the spread of diseases. Culturally ingrained behavioural barriers and a closed mindset that discourage a man from breaking the age-old habit must be demolished for the sake of his own dignity and the larger good of the community. However, such a change is not likely to come about simply in response to a government’s drive to keep the villages clean. The community and village elders, housewives, teachers and students can accomplish the task of dissuading the men at home from opting for open spaces through their power of reasoning and persuasion. In any case, a change of heart is possible only when a man realises his own folly. And people must realise that the ODF status is only the starting point in the matrix of a revitalised programme of rural sanitation! Our wizards of technology have a vital role to play in shifting the gear for accelerating the pace of the mission by way of introducing innovative ideas, which will increase the appeal of the mission to the layman. On its part, the government has been fighting a valiant battle to bring about the much-needed change in the quality of people’s life. And the entire nation is quite hopeful of achieving the goal set forth before it by Prime Minister Narendra Modi, with his tremendous faith in its people, in exactly three years’ time. This entry was posted in blog on October 14, 2016 by admin. All efforts are good but till the civic sense of the people will not change the major change is not expected. Firstly no civic sense among people and even municipal corporation does not care for cleanliness….??? In-spite of all these efforts, nothing is going to change because the mentality of Indian people stop them doing so. Where on the earth these film starts, actors, crickets & celebrities were earlier? After efforts put by Mr. Narendra Modi these bloody people have come out. They are actually joking in the name of Swachh Bharat. Everyone living in India is equally responsible for it. Be it government, administration, civic body, people. We will talk, discuss, implement for sometime and forget. Agreed that Swachh Bharat will prove to be a gamechanger but I think government needs more staff to do this. Manpower is a big issue here and proper utilisation of funds allocated is also required. Earlier, people n leaders complaining abt non availability of toilets in schools/ Rly stations/public places etc. In 2 years govt has built thousands. Its sad to know that we need programs and schemes to be made to keep our area clean. Do two things Swachh Bharat will be achieved. 1. Make toilets at 4 corners of all cross way traffic signals so that all are aware of place of availability of toilets. No time will be wasted on finding out the place of toilet. 2. No garbage/trash be thrown to ground by anyone. Everybody put the garbage in polythene bags and these bags should be put in rehri or trolley. These bags should be shifted from trolley to trawlers located at convenient places for collection of garbage. The bags with garbage should not be put on ground any time. These trawlers when become full should be pulled away by tractors to end place of garbage dump. If the garbage is not thrown to ground, no brooms/no labour is required for cleaning of roads, streets or parks or rly station. NO GARBAGE BE THROWN TO GROUND SHOULD BE THE POLICY TO BE ADOPTED. No garbage to ground automatically makes every place clean. Implementation strategy is to be framed for removal of garbage in this way. No should be allowed to open the bag containing garbage. Now a days bag full of garbage is opened and garbage thrown to ground which again requires labour to lift with brooms and JCBs etc. There are allegations in news that what ever is depicted on papers is in fact not in reality, number of actual latrines created is much less. Is that true? Indians have woken up to clean and green environment very late and specially when new government has come. This will take time hence we all should wait for true results. If BJP thinks that they have all the credit for clean India then Sikkim has proven them wrong because they started much earlier than 2014 and are now the cleanest state. People are building toilets and not not using them. Government should impose fines on people who defecate in open so that change in behaviour of people can come early. Everybody talks of a better and clean India but do we actually follow it? We throw chewing gums here and there, we throw wrappers whereever we wish. When we will change, India will change. Swachh Bharat Abiyan should have started with political industry first. In every bus stand effluent treatment plant should be installed for avoiding urinal smell is one of the public nuisance. I have gone through this “great mathematical” or ” great statics cal” of calculating nothing but only sanitary wares. Yes India suffers from open defecation but at the micro level corruption is going to get in the swacha bharat mission so what the use of rosy photos now when the Block Development officer is growing epidemically fat? India’s mission is to get villages,cities clean but Indian government has not done anything for these sweepers? For example in a city we have a special breed of cleaners who clean by brooms and they were paid by Municipality, but being a conscious citizen, should not we replace the cleaners by self-incinerating machines? After all nobody likes cleaning job and since Indian municipality is spending crores and crores of rupees on machines, why not atleast self incinerating machines be installed?? Well one can argue that machines are not functioning or people are unable to handle them, then train the people. So india’s great public mission is going to be a great failure despite PM’s effort if the crore problem–that of replacing the sweepers is not addressed. The problem of unemployment can be eradicated but nobody likes to clean for employment what ever the cost may be. You have given figures of the success of swachh bharat mission gramin and actual school toilets built. I think this is a positive sign and PM deserves appreciation. Capacity building of functionaries including panchayats and at block level are very basic requirement. They are real implementing bodies so they must get all resources and ICT. The best part of this scheme is building of toilets for girls in schools. I have come across many girl students who have joined schools after toilets were installed for them. At least at places where government has CCTVs like marketplaces in Delhi and Mumbai, they should watch them for offenders who linger on streets. They should be fined so that people change their habit. Much as ‘funds’ are provided to support this huge program, you forgot to mention that Union Govt. also levied SB cess besides corporates using CSR funds for the purpose. I have big experience to say, GOI and the State Govts. have no plans how to spend money allocated. Then, there are spurious ‘contractors’ coming in to ‘make toilets’ and the babus and politicians palming off the money by making sub-standard structures.